June 29….Buddy Holly Summer Showcase Series - This week, Nuclear Juarez plays Surf Rock. Summer Showcase 2017 is free to the public. There will be a cash bar, food and beverages available for purchase. Please, no outside beverages are allowed. Performances every Thursday evening from 5:30 pm – 7:30 pm in the Meadows Courtyard, 1810 Crickets Avenue. 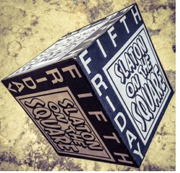 June 30….5th Friday Slaton on the Square - Enjoy sidewalk vendors and “Music on the Square” sponsored by the Slaton Care Center. Merchants open: Multiplicity Art Gallery, In Between Art Gallery, Quilts-n-More, Antique Mall and Museum, Slaton Model Railroad Studio, Slaton Bakery, Tiger Nutrition, Never Naked Boutique, and Li’l Tiger Day Care. AROUND THE SQUARE: face painting and other fun at Li’l Tiger Day Care, check out the shakes at Tiger Nutrition, the quilts and quilting supplies at Quilts-n-More, the goodies at the Slaton Bakery, model trains in action at Slaton’s Model Train Studio, Texas Tech artists at In-Between Art Gallery, the fashions at Never Naked Boutique, the antiques and Slaton history at the Antique Mall and Museum! Multiplicity Art Gallery will be featuring the paintings of June Musick, “The Summer Wash is Out!” Check out her display in the front window of the gallery and watch her paint as well! Another artist NEW to Multiplicity Art Gallery is Kathryn Thomas. She will be available to talk with you along with our regular artists Jennifer Greer, Christena Stephens, Yvonne Greene, Wayne Greene, Judy Robertson, Donna Rose, Willa Finley, Tom Hicks, Jerry Thompson, Roger Holmes, Marsha Davis, and Susan Sheets. Special Guests: The Lubbock Food Truck Alliance – Kona Ice, Hanks Bar B Que, Lil Trailer Big Flavor, Jordan’s Fruit, Hi-Jo’s, J & D Bar B Que. Bring your family and come out to shop, eat, and experience art and more on the downtown square in Slaton, Texas from 6-9 p.m. on Friday, June 30th. Be prepared for a fun evening and a surprise or two! Square in downtown Slaton; 6 – 9 p.m.
June 30….Cactus Theater Presents: ’70s Disco Daze: A Cactus Tribute to ABBA • Bee Gees • Donna • Olivia - Get ready to get down and fabulously funky in a time trip back to the height of the vinyl age and a chance to revisit the greatest pop hits of the mid-to-late ’70s and early '80s and the "dy-no-mite" vibe of polyester pantsuits, big collars and silk shirts! We'll channel the greatest hits of ABBA, the Brothers Gibb, the queen of disco herself - Donna Summer - and, yes....we'll get physical with the music of Olivia Newton-John! Confirmed performers include: Craig Elliott, Jeff Bailey, Angela Crowson and Gabriella Flores. A song sampling of the mega-hits you'll hear includes "Dancing Queen", "Stayin' Alive", "Last Dance" and "Physical" among many more. It'll be a Friday night fun-fest as we churn the classics with your favorite Cactus vocalists - all backed by our movin' and groovin' masters of funky fun - The Rhythm Machine. Come dressed in your disco best...prizes awarded for best male, female, couple and vintage disco moves! It'll be a total blast from the past! Reserved floor seats $20; standard balcony $15. Limited box seats $40 - which includes concession goodies with your ticket! . Box office open daily 3:00-5:30 p.m. or call (806) 762-3233 or order online at cactustheater.com. Cactus Theater, 1812 Buddy Holly Ave: 7:30 p.m.
June 30 - July 1….Lubbock Moonlight Musicals Presents: “The Adventures of Tom Sawyer” - To begin the 12th summer season of Lubbock Moonlight Musicals, we are happy to announce our upcoming production of Mark Twain’s timeless tale, The Adventures of Tom Sawyer. Based on the Mark Twain novel, The Adventures of Tom Sawyer, centers around the escapades of orphan-teen, Tom, and his miscreant best-friend, Huckelberry Finn. Set on the banks of the Mississippi River during the end of the 1800s, The Adventures of Tom Sawyer exhibits a simpler life, the power of friendship, young love, and the merits of mischief. Join us for a musical adventure with “Tom Sawyer” at the Moonlight Musicals Amphitheatre this summer! A great date night or family outing, “Tom Sawyer” will be fun for all! Picnics and coolers welcome! TICKETS: Adult Premium - $31; Adult GA- $23; Student GA- $15; Child Premium (12 and under) - $18; Child GA (12 and under) - $10 (INCLUDING SERVICE CHARGE) Tickets at all Select-A-Seat locations and online. Phone 806-770-2000, or visit www.selectaseatlubbock.com. City of Lubbock Home/. Moonlight Musicals Amphitheatre, 413 E. Broadway; Gates open at 7 p.m., and the performance begins at 8 p.m.
July 1….Lubbock Downtown Farmers Market - Looking for best in local produce, handmade and artisan products? If the answer is YES...then visit the Downtown Farmers Market each Saturday at 19th and Buddy Holly Ave from 9 a.m. to 1 p.m. for a taste of downtown Lubbock, and the finest in local produce, meat, dairy, cheese. baked goods and arts. The full 2017 market season will be every Saturday from June 3rd to October 28th from 9 a.m. until vendors sell out. For info, visit lubbockdowntownfarmersmarket.com/. We look forward to seeing you every Saturday at the Lubbock Downtown Farmers Market at 19th Street & Buddy Holly Ave.
July 1st - Amigos La Raza on the Plaza Street Dance - La Raza on the Plaza will feature AJ Castillo, Eddie Gonzalez, David Lee Garza Y Los Musicales, Garry Hobbs, Sekreto, DJ Sancho and Bobby G & The Galaxy Band. Tickets available at Pronto Mart, Montelongo’s, Seminole Beer Barn, Lamesa Stop & Go or online razaontheplaza2017.eventbrite.com. Tickets $15 In Advance. Kids 12 And Under Free. Courthouse Plaza on Broadway, 904 Broadway St; 1 p.m. - 11 p.m.
July 2 - 3....First Annual Texas Country Freedom Festival - Celebrate America by kicking up your boots in the “Hub City” with two days of Texas Country music featuring William Clark Green with Randall King and Randy Rogers with Dalton Domino. You may purchase a two day pass that will grant admission to both days or purchase a one day pass that will get you into either day. Tickets available at Select A Seat. Cost is $25 or $40. Courthouse Plaza on Broadway; 904 Broadway St; 7 – 11 p.m.
Go back in time to the Spirit of 1776 with the Yankee Doodle Dash (5K and 1 Mile) that will take you along the parade route. The Sparkler Sprint (100 Yard Dash - free for kids 6-12)will have the children kicking up some fireworks between the crowds as they line the streets before the parade. Visit http://www.westtexasendurance.com for more details. 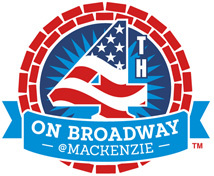 4th on Broadway Parade - The parade will once again begin at Ave M and Broadway and head East, turn North into Mackenzie Park on Canyon Lakes Drive and disburse at Joyland Amusement Park. Parking available on the streets of downtown, Plains Capital Bank Free Parking off Canyon Lakes Drive between Broadway Ave and 19th Street, and at the Fairgrounds Parking Lot ($5). The parade officially begins at 9 a.m. , but we encourage the community to arrive early to park and secure a good viewing spot, within the roped off boundaries set for your safety. 9 – 11 a.m.
Learning Tree Children's Academy Kid's Area - Bring out the family for tons of FREE kid's activities! Inflatables, rock wall, games , Facepainting, Obstacle Courses, Dunk Tank, Mechanical Bull, Mini Petting Zoo, Meet & Greet, Bubble Pools, Photo Booth, Arts & Crafts and Much More!! UMC Early Settler's Luncheon - Celebrate Lubbock roots at the Early Settlers Luncheon. Tickets, $15, can be ordered only in advance. Please call 775-8760 to purchase. Luncheon catered by River Smith's, Pride of West Texas Show Chorus will be our entertainment. 10:30 a.m. Doors open & Museum is open for viewing. Daytime Music in the Park - NEW this year - Two major outdoor stages will feature the best of West Texas music. Visit https://www.broadwayfestivals.com/daytime-music/ for a list of stages and Music Lineup. Youth Fishing Tournament - Bring your family out to our first annual FirstCare Youth Fishing Tournament, hosted by Cabela's. For Ages 18 and under. No permit required. We will be stocking the lake in Mackenzie Park with 650 lbs of catfish. Free entry! Participants are encouraged to bring their own poles and fishing supplies, but Cabela's will also be on site with tackle, bobbers and fishing poles. Supplies limited. Prizes will be awarded for the largest fish caught, smallest fish caught, and the most fish caught in each category, 7 & under, 8-12 and 13-18. Winners will be announced on stage at 4:45 p.m.
Covenant and First Bank & Trust Evening Concert - For the first time since 2009, we are bringing back our dynamic, state of the art major Evening Concert production featuring the finest contemporary artists in West Texas, two surprise legendary artists and the Youth Symphony Orchestras of Lubbock. July 2 ….Sunday Concerts at The Park - Bring your blankets, lawn chairs and picnics to Wagner Park and listen to the Westwind Brass Band every Sunday evening at 8:00 p.m. Concerts will be held at 8:00 p.m. on June 25; July 2, 9 and 16. Enjoy these free concerts for all ages and experience music out under the West Texas sky in this neighborhood park. A special thank you to the Westwind Brass Band for their commitment to bringing music to the people of Lubbock every summer. Wagner Park is located at 26th Street and Flint Avenue. July 3….Cactus Theater Presents: - "All Hands On Deck!" 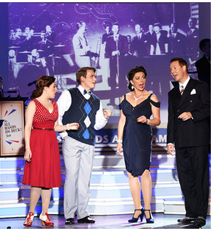 National Tour - Patriotic Spectacular - Direct from Branson- This show was born of a heart filled with gratitude and patriotism. Creator and star Jody Madaras wanted to write a show that would say “Thank you” to the greatest generation – the men and women who served our country during WWII and The Korean Conflict — and also remind Americans of a time when our country was truly united. Madaras said, “This new 1940’s show is very special to me — I spent nearly four years writing it.” The Ohio farm boy knew he wanted to say something important. Madaras used the Hollywood Victory Caravan — a group of famous film stars who toured America by train in 1942 selling war bonds — as the setting for his new show. “When I got the idea to do the show, one of the things I found was that no one had ever done a show based on the Caravan. It was a huge part of the war effort and no one had ever fully honored them. 1942 was one of the most pivotal years in world history paving the way for much of the prosperity we enjoy in this great country of ours. That’s our theme: being united, then and now.” Madaras’ strong patriotism is credited in large part to his family. His grandmother June was extremely active in the American Legion Auxiliary. “Growing up with Grandma, we always listened to these songs. She was very proud of the United States and believed we are at our best when we are united. Her handwriting is in this show.” His grandfather, Adolph “Duff” immigrated through Ellis Island from Hungary in 1911, and proudly served as an officer in the US Navy in WWII. In a family of great Americans lives great patriotism, reverence, gratitude, honor, and integrity. Madaras has masterfully crafted together those values into a production that takes us all on a sentimental, and truly inspirational, journey. Ticket information: LIMITED number of $40 VIP Pre-show "Meet & Greet" tickets available. Remainder of floor seats are $30 and $35; Standard balcony seats are $25; limited number of handicap floor seats $25 - reserved for those needing assistance until showtime; Balcony box seats are $60 and include concession refreshments. Box office open daily 3:00-5:30 p.m. or call (806) 762-3233 or order online at cactustheater.com. Cactus Theater, 1812 Buddy Holly Ave: Note early start time: 7:00 p.m.
July 3….Buffalo Springs Lake Fireworks Spectacular - This year Buffalo will be hosting the Buffalo Springs Lake Fireworks Spectacular on July 3rd. Day passes into the lake lower lake will be $15 per adult for this day only. Cost for Children 6-11, Seniors 64-and up, Active Military and Veterans $5. Children 5-Under – Free. Tailgating will be available on top for $25 for the entire car or $50 for everyone in your RV to tailgate all day on July 3rd. There will be vendors with food and great items for sale. Tailgate with your family on the upper end which is the best area to see the fireworks show! You will be allowed to bring a canopy, chairs, food, and even BYOB (No glass bottles) for tailgating. Please do not bring in outside fireworks, we do not allow personal fireworks to be shot off. Normal camping rates apply on July 3rd. Normal day entry and camping rates apply before and after July 3rd. Buffalo Springs Lake, 9999 High Meadow Road; Begins as soon as it turns dark.